The High Altar awaiting Mass. 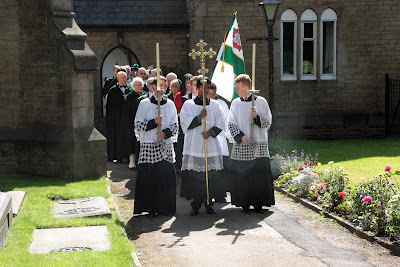 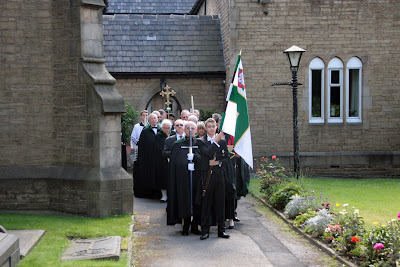 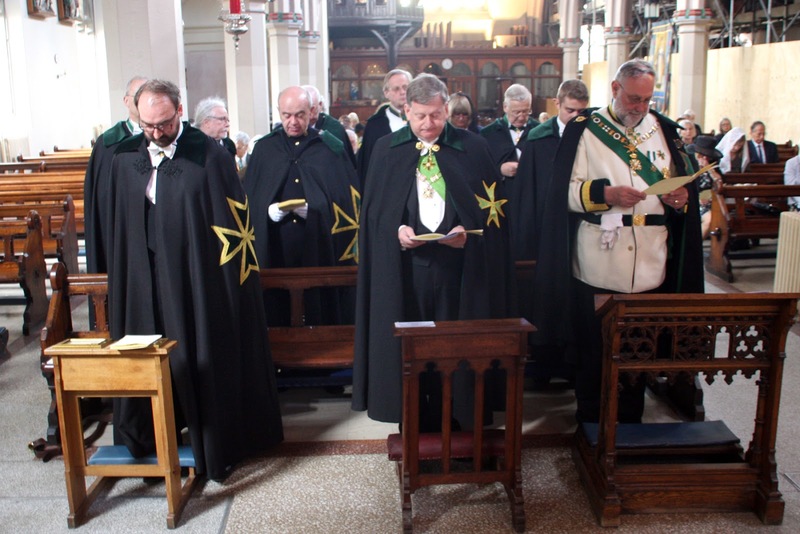 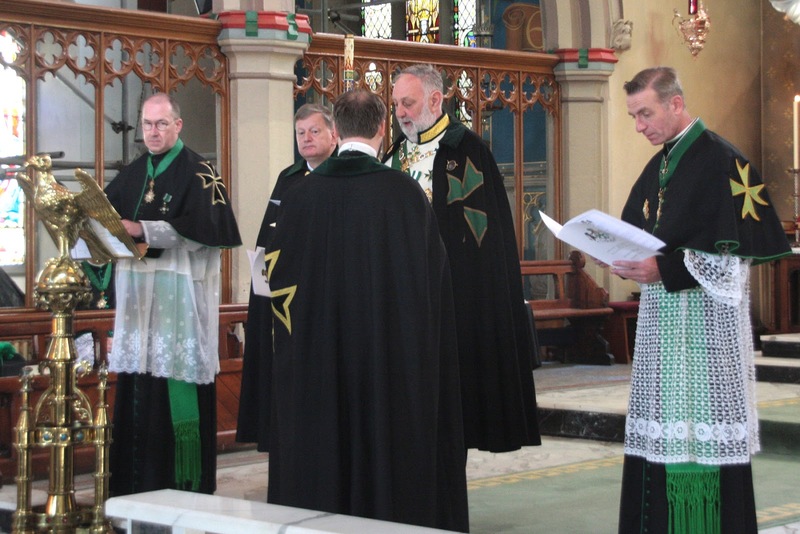 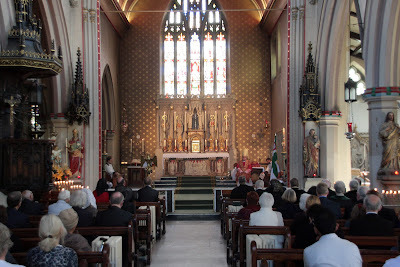 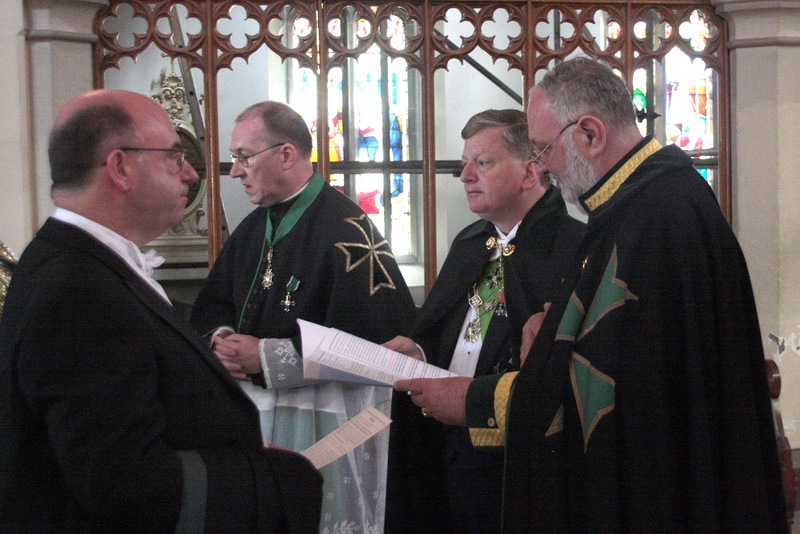 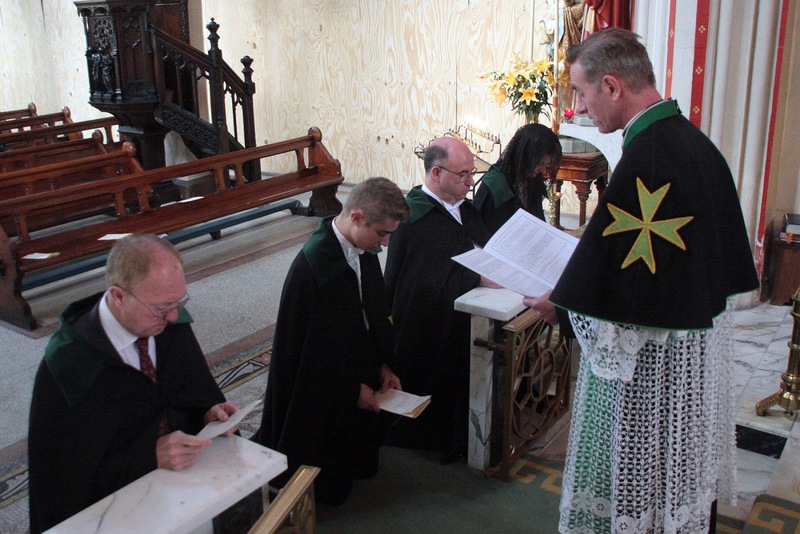 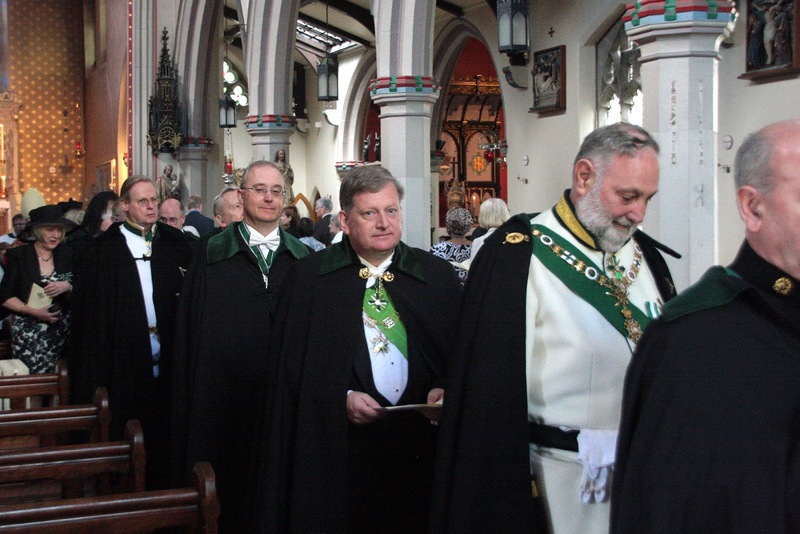 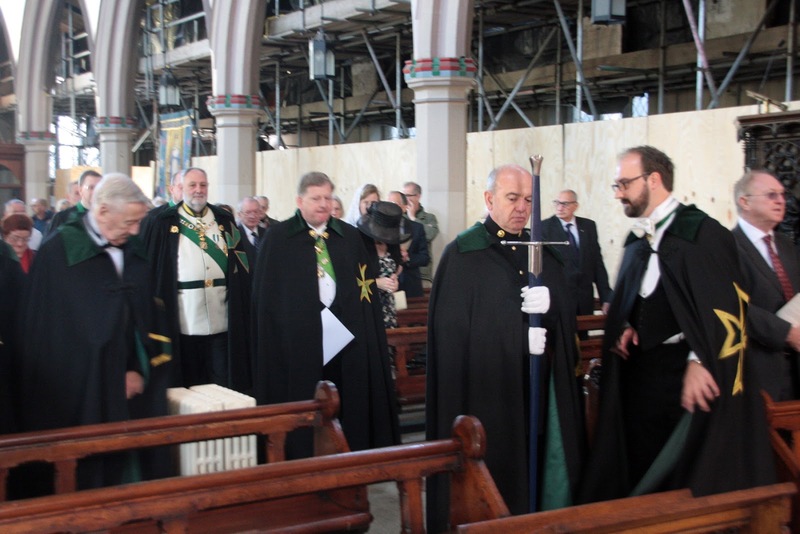 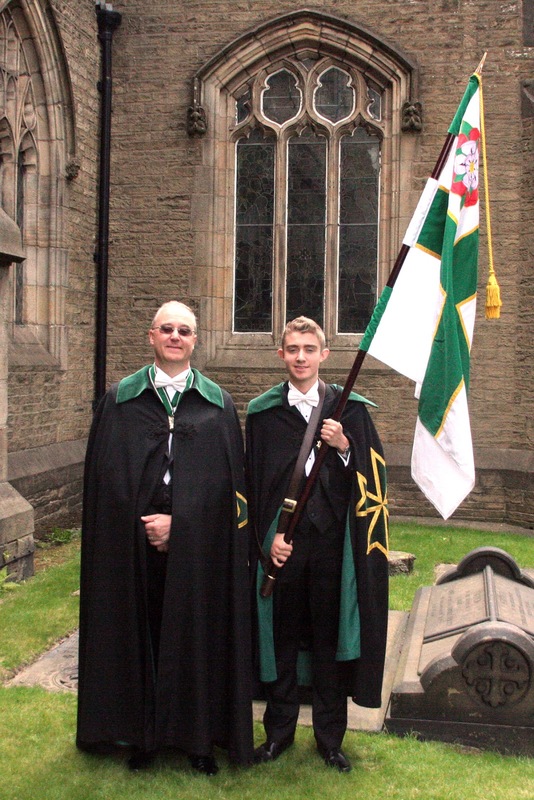 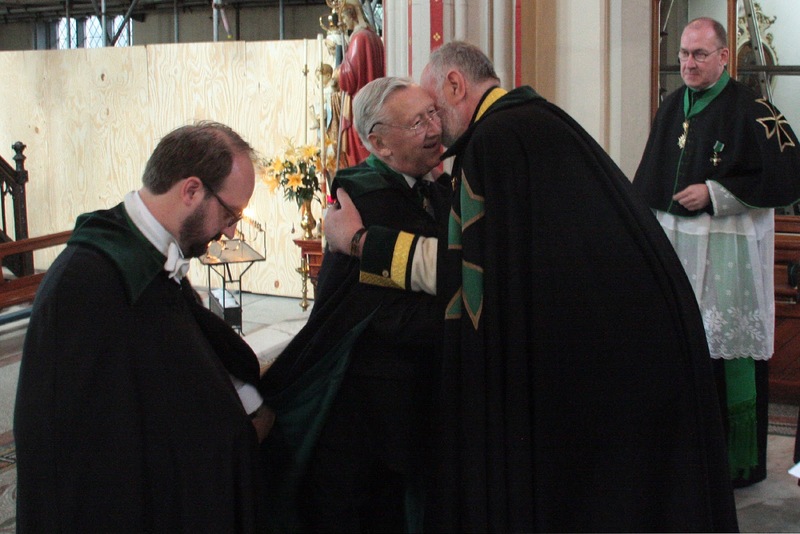 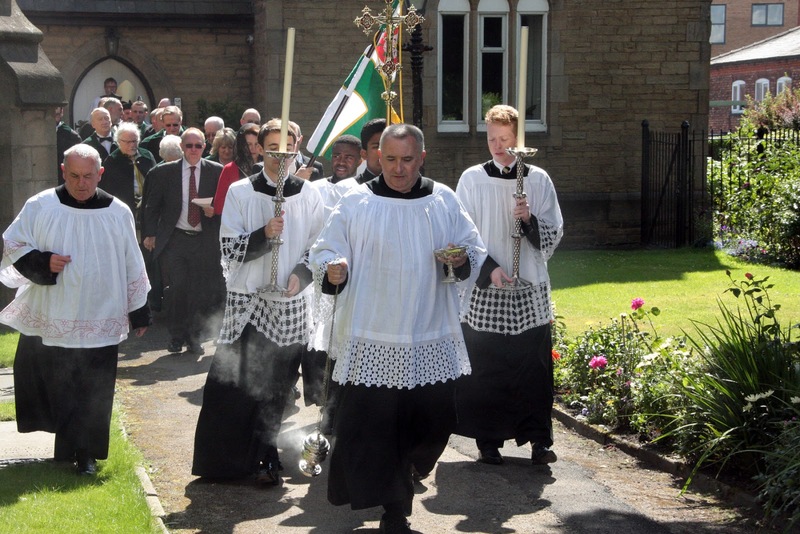 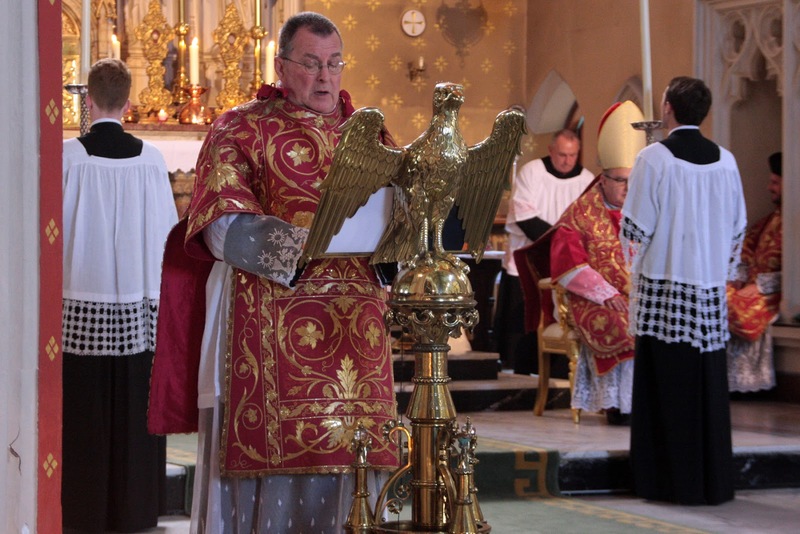 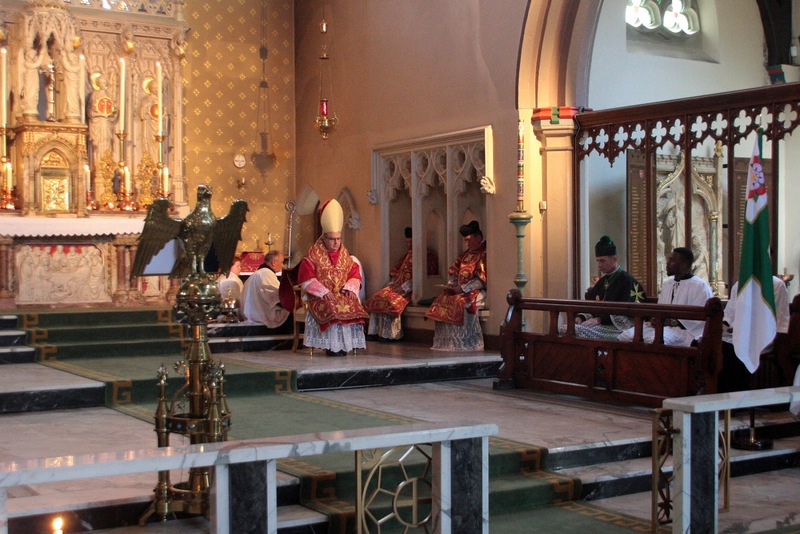 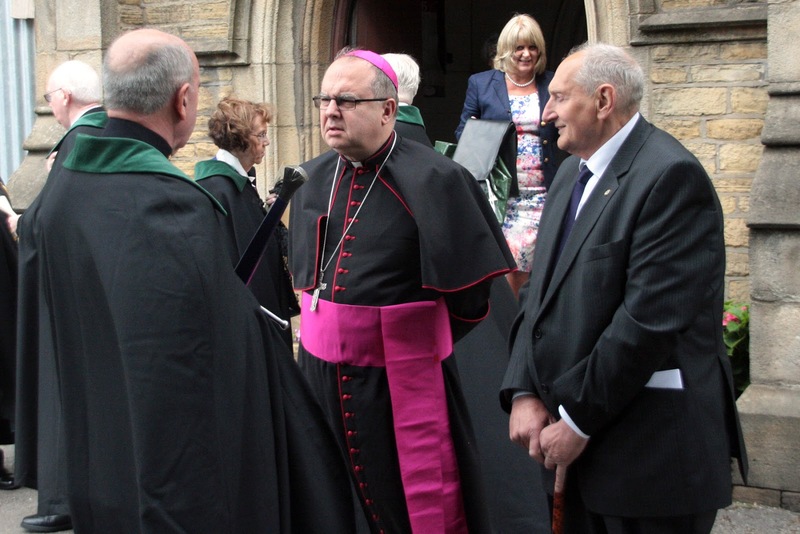 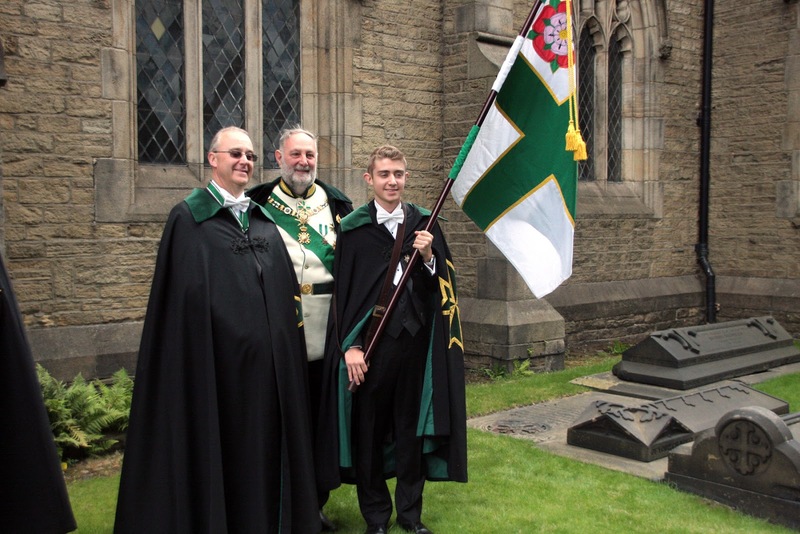 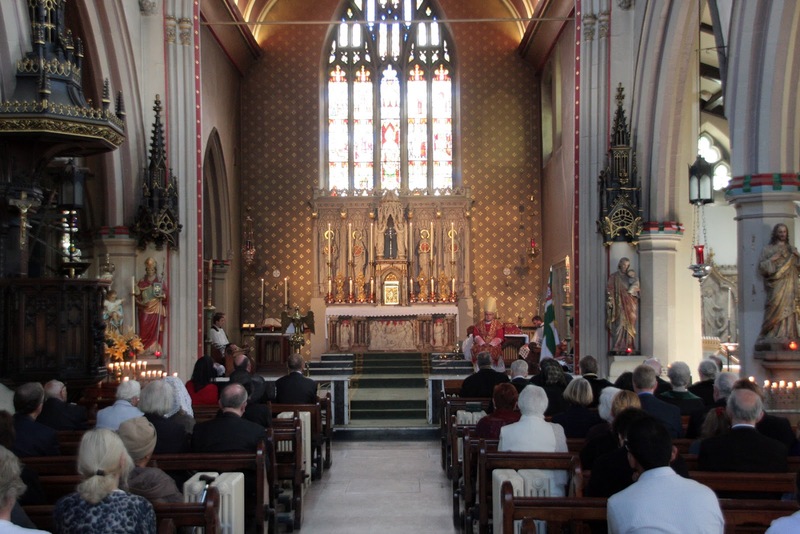 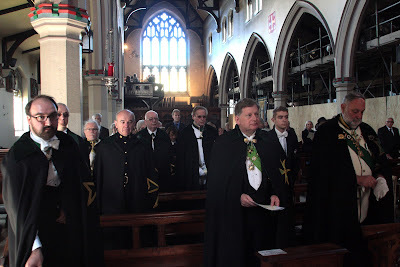 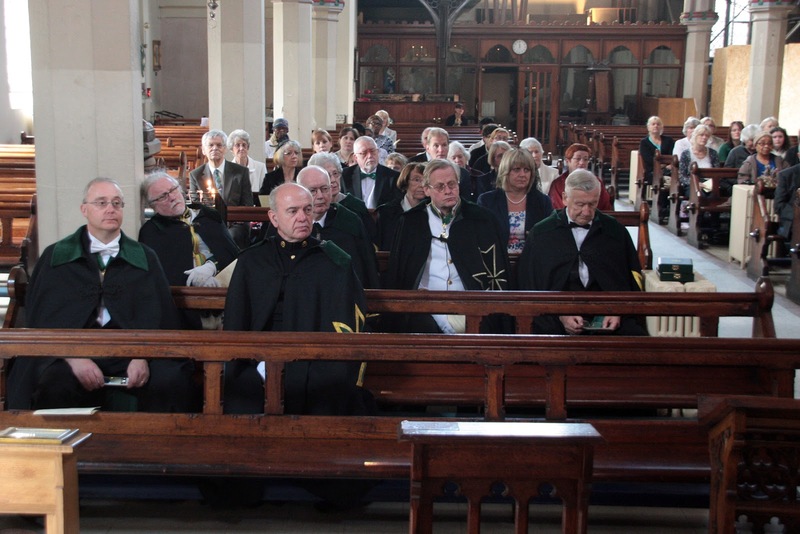 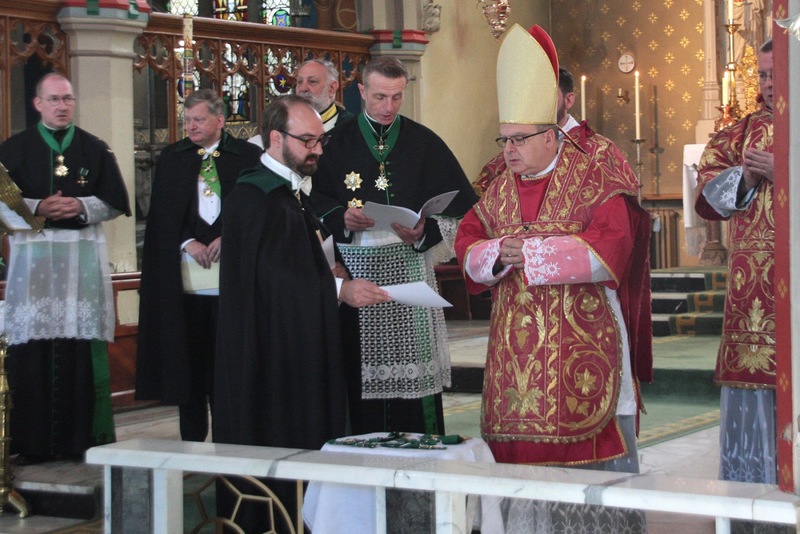 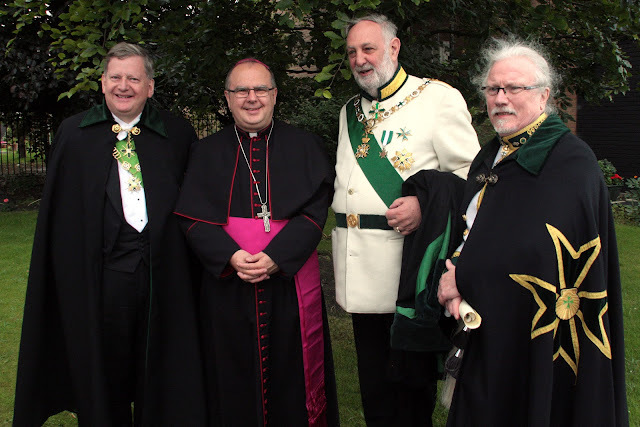 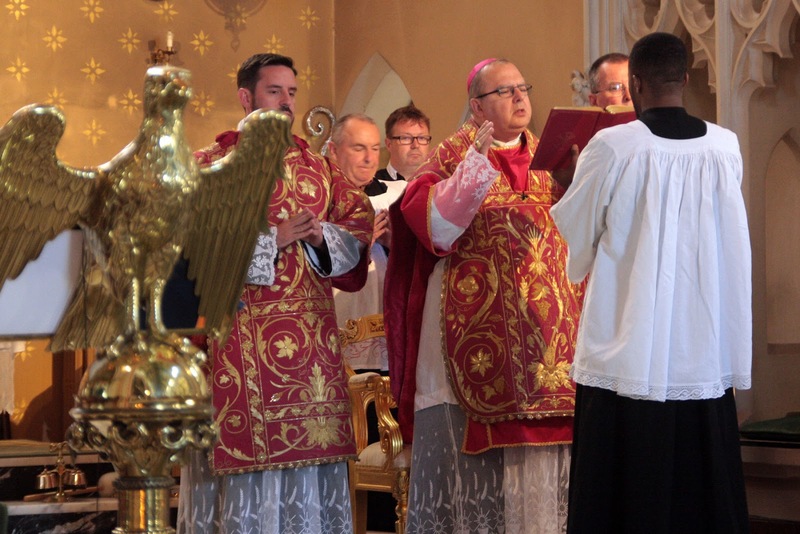 The Priory of Great Britain had the great pleasure of welcoming new members into the Order at the Oratorian Community's Church of St Chad in Manchester, following Mass celebrated by Bishop Robert Byrne. 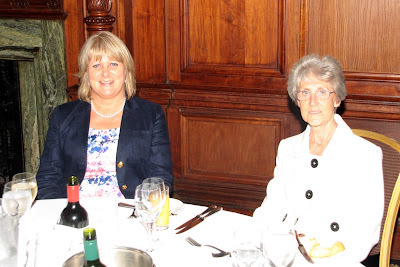 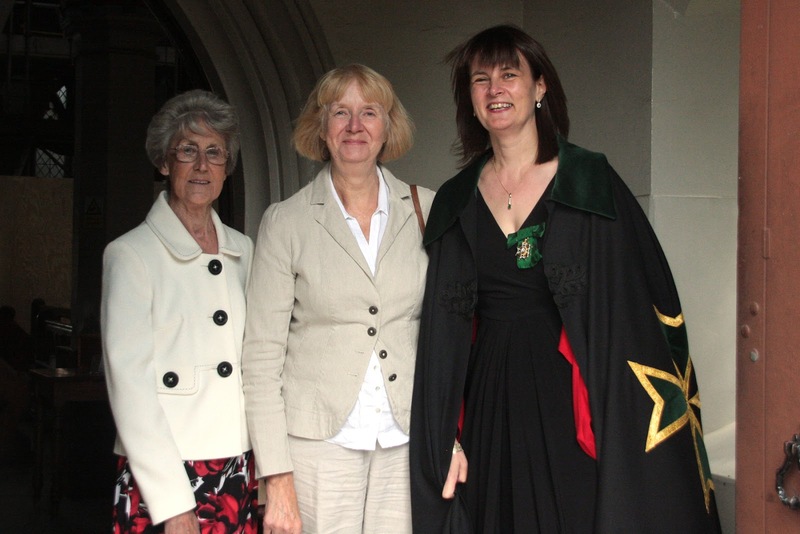 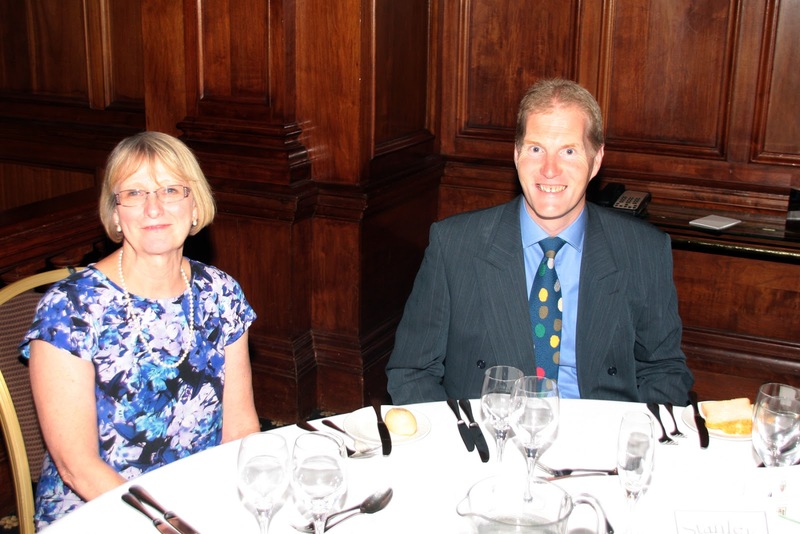 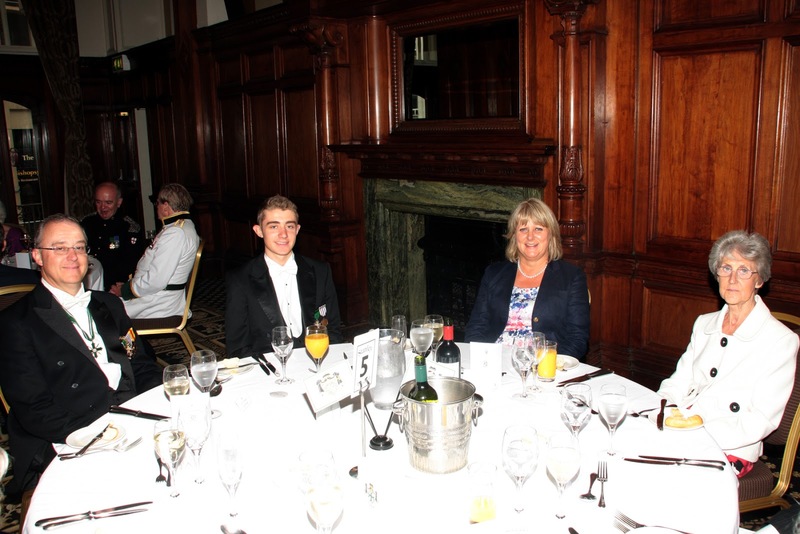 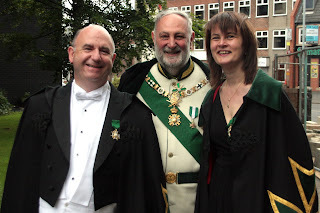 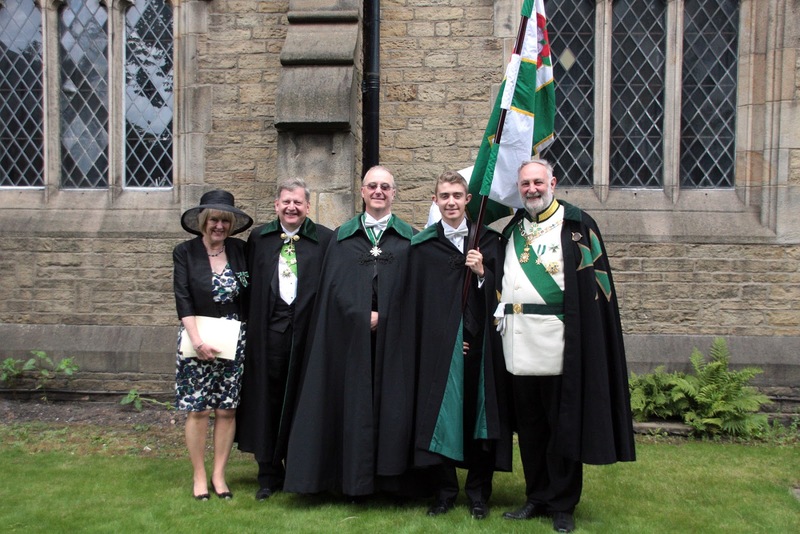 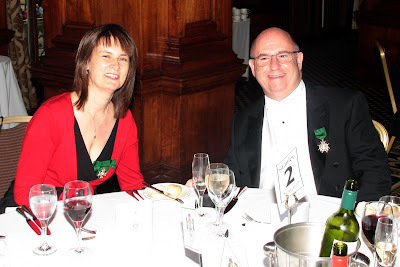 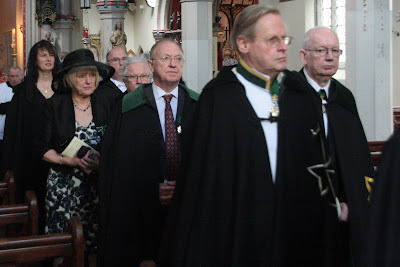 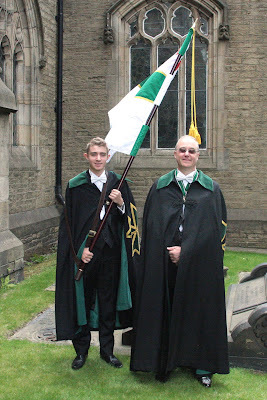 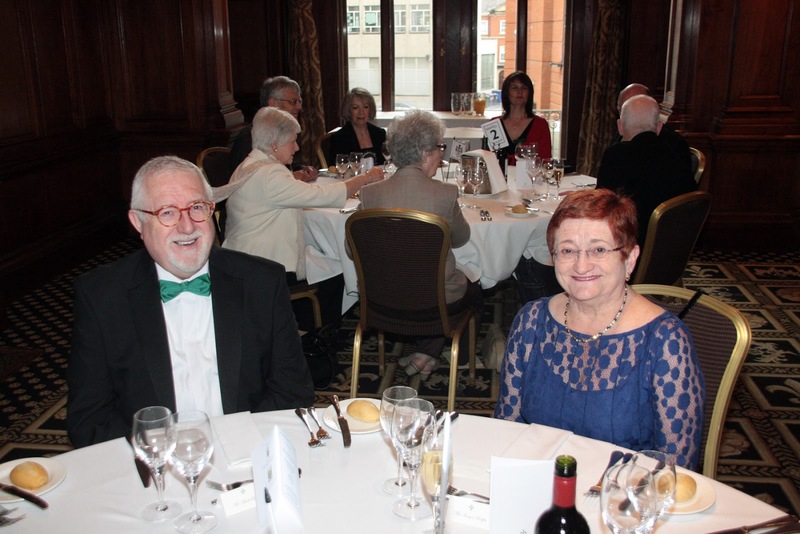 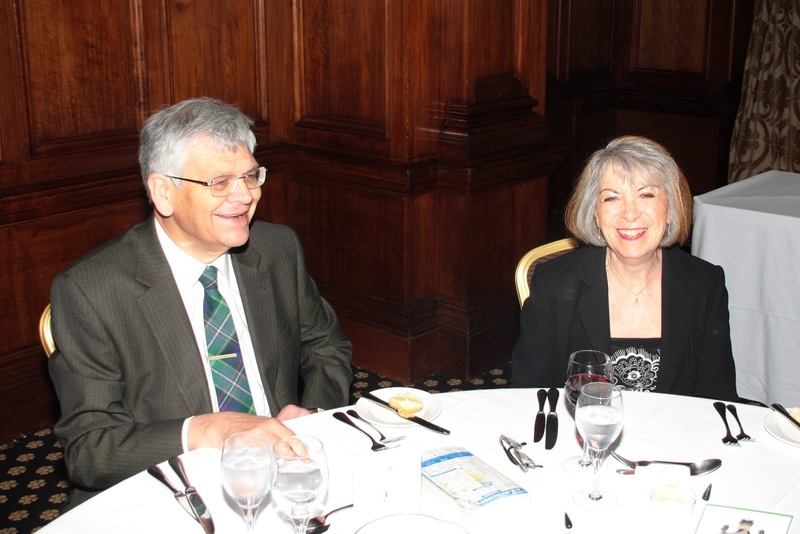 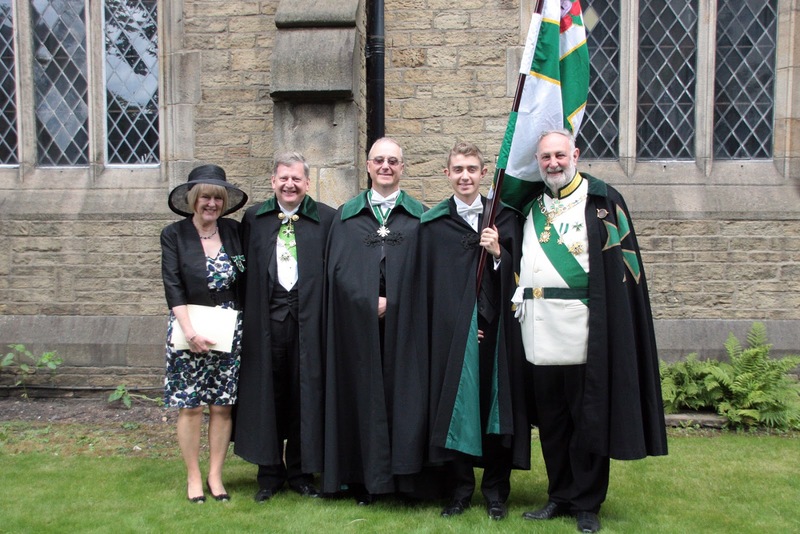 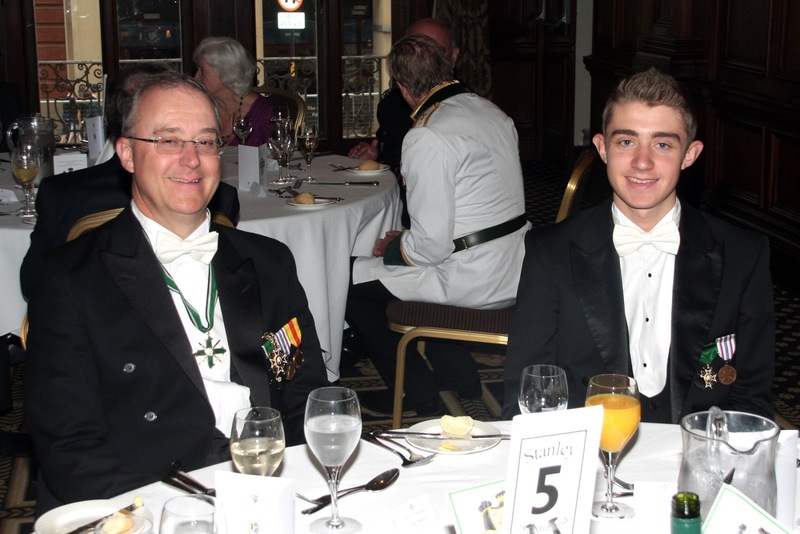 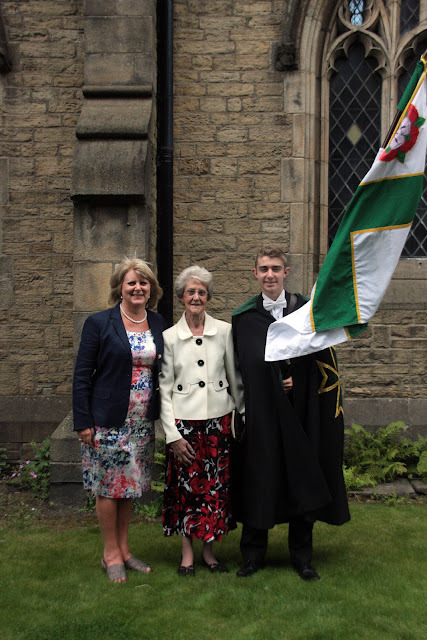 The Investiture welcomed new members from London, Scotland, Cheshire and Derbyshire. Conf. Andrew McDermott leads the procession with the ceremonial sword. Thanks to those who served from the parish of St Chad, as well as from St Catherine's and friends of the Order. 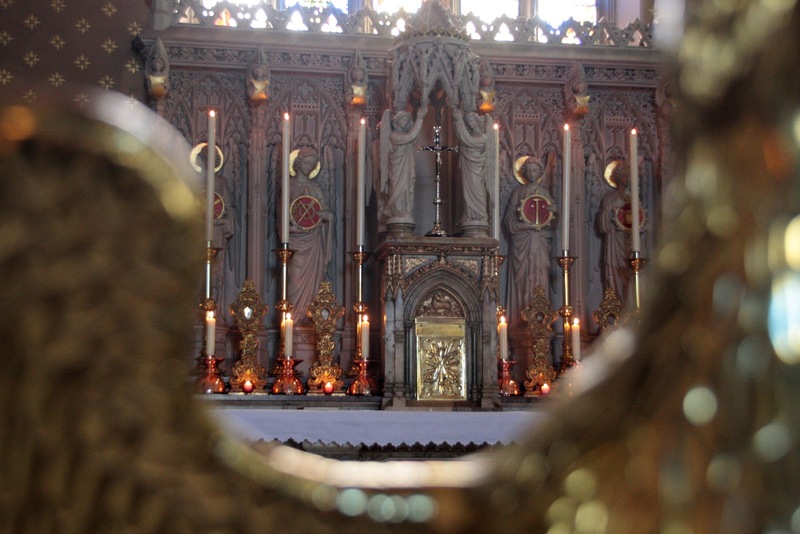 Since moving to St Chad's the Oratorian Community have been working tirelessly to build up the parish, including a present large scale renovation with £250,000 from the English Heritage Lottery Fund. 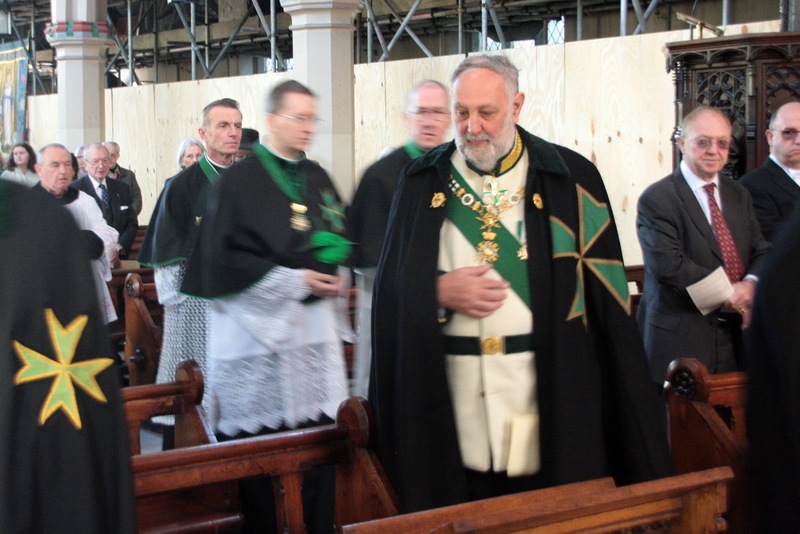 (Although they still have to raise £60,000 to complete this first stage of the work.) 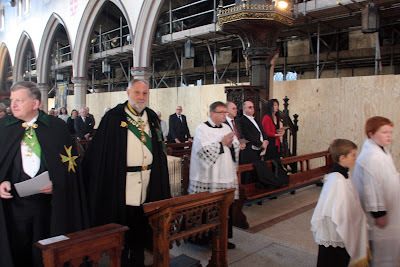 Hence the scaffolding down the south aisle of the church. 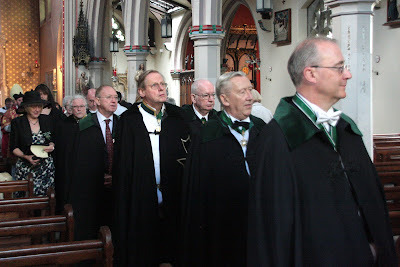 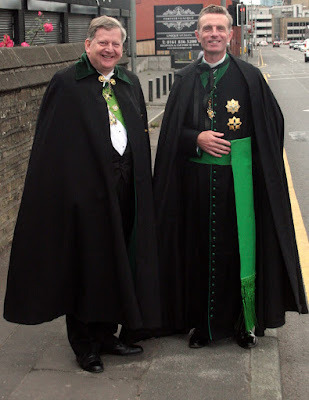 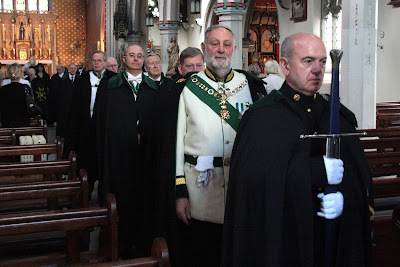 The Grand Master and members process in for Mass. 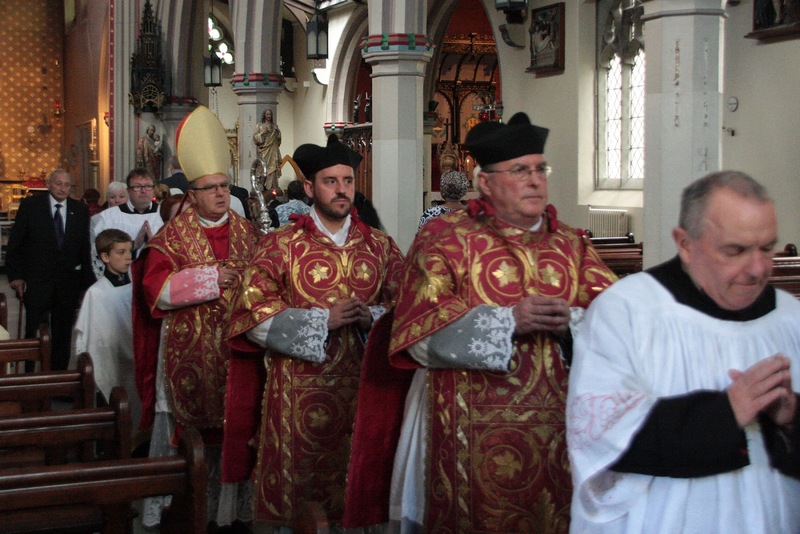 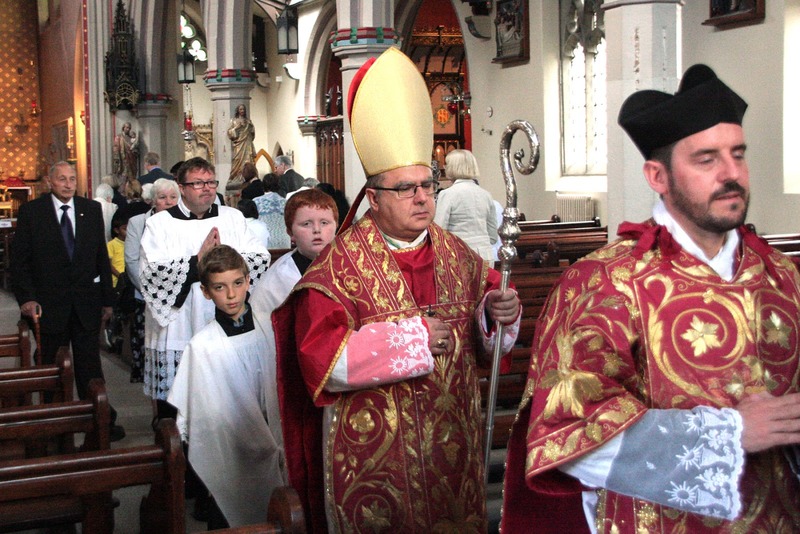 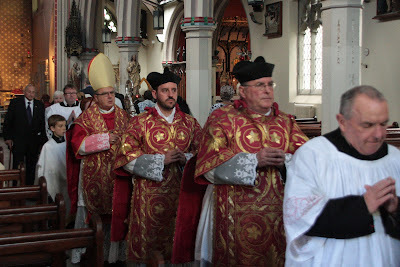 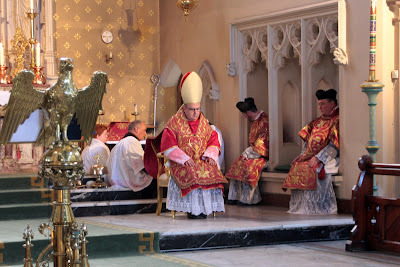 Bishop Robert Byrne celebrated the Mass of St James the Great in the splendid vestments belonging to the Oratorian Community. Fr Ray Matus chants the Epistle. 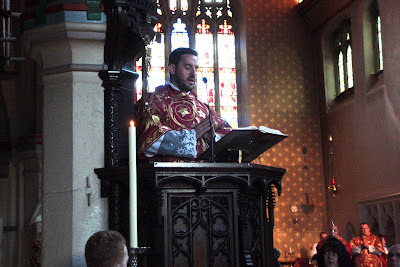 Fr Richard Bailey chants the Gospel. At the conclusion of Mass the Investiture was proclaimed. 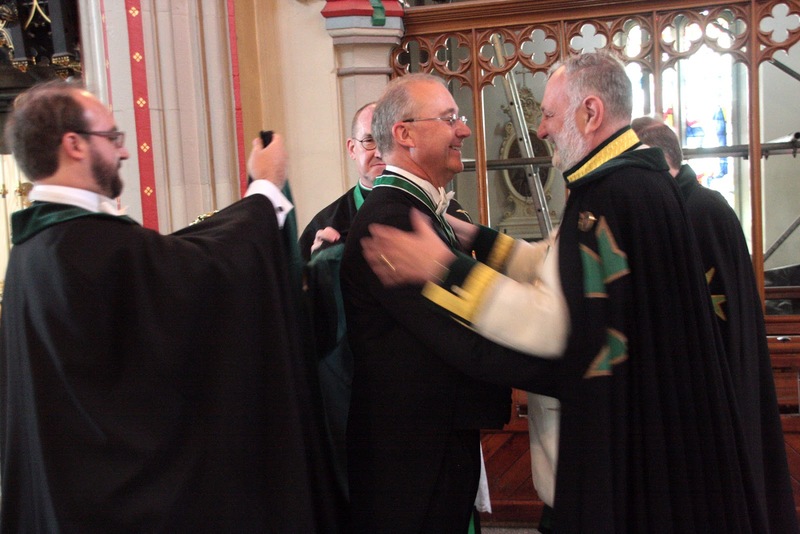 Bishop Robert blesses the insignia. 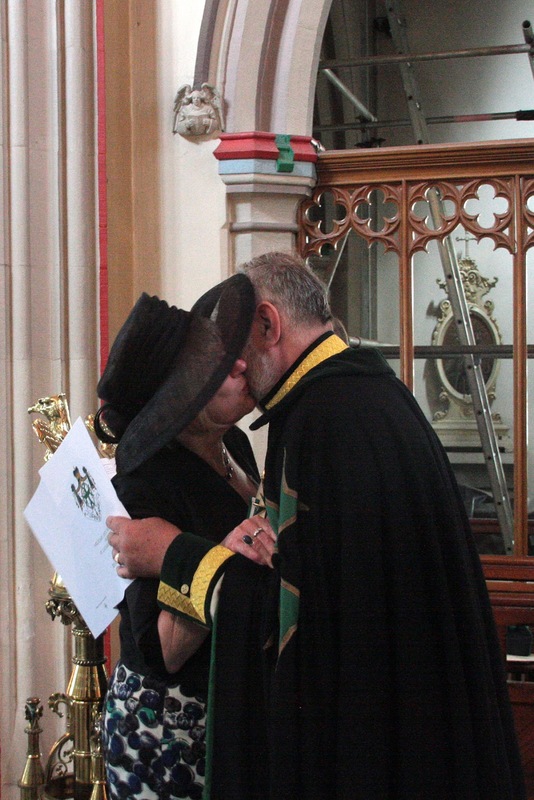 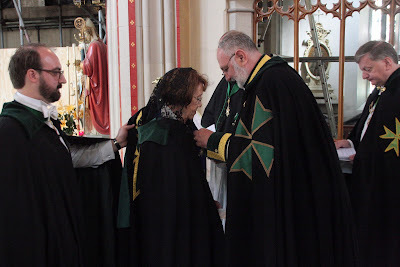 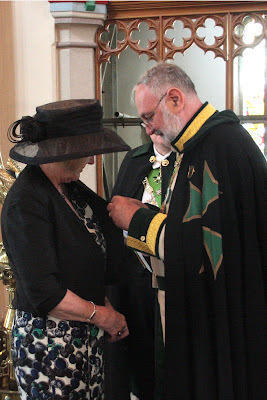 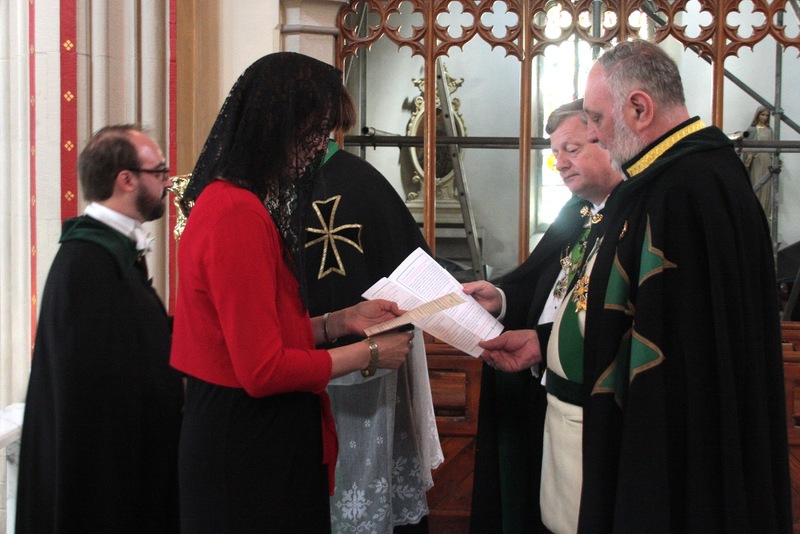 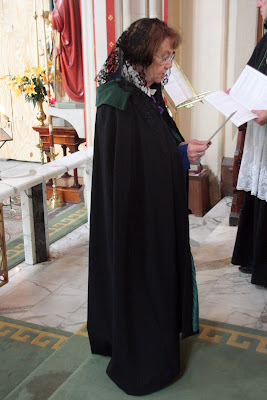 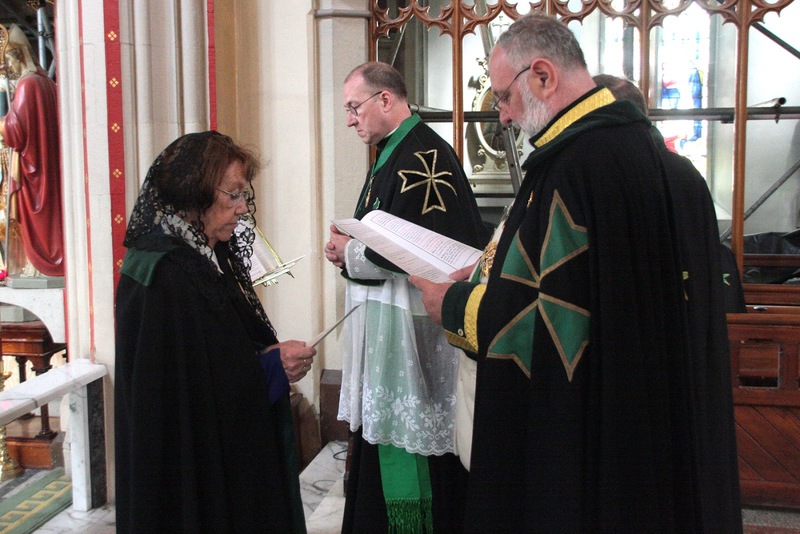 Mrs Patricia McGrath is received as Conseur. 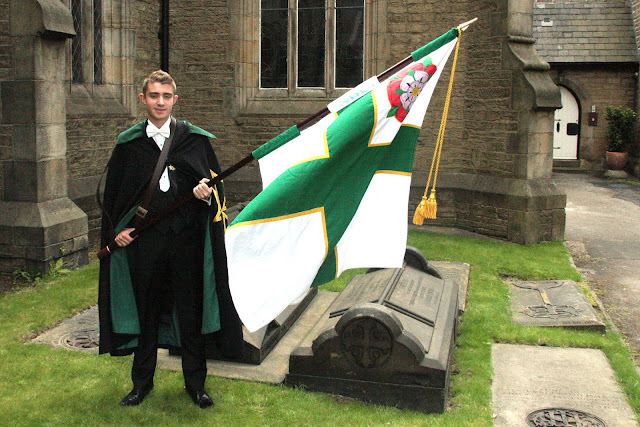 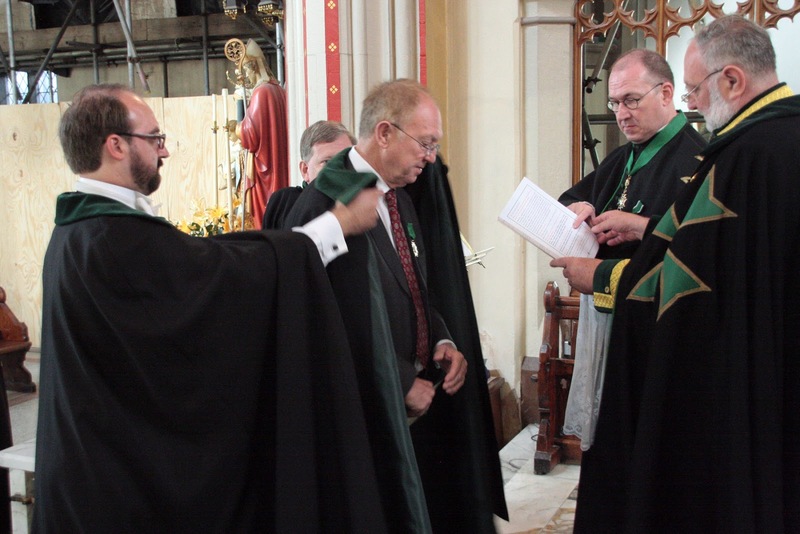 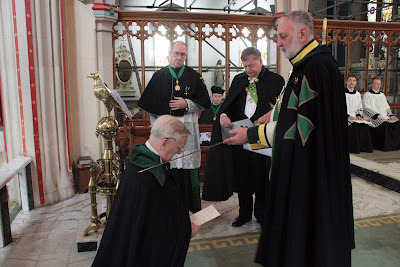 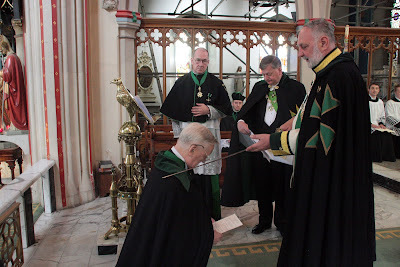 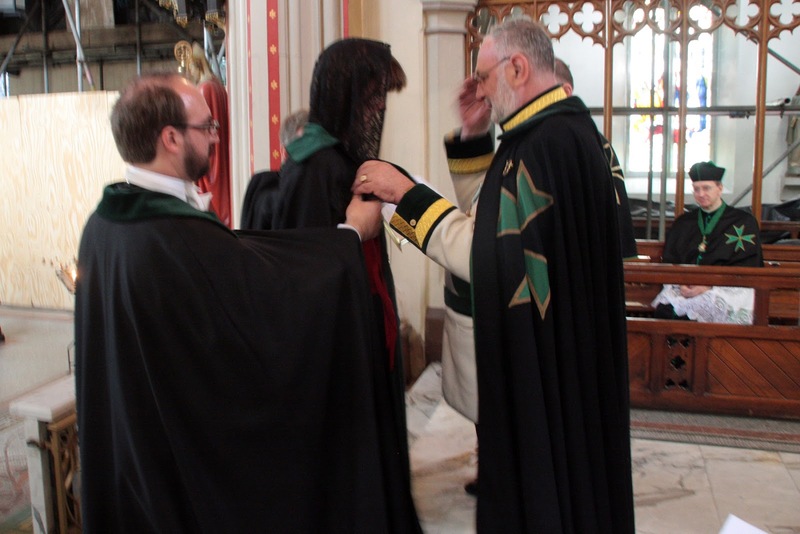 Mr Damien McGrath is received as Confrere. 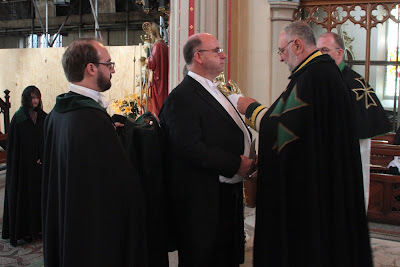 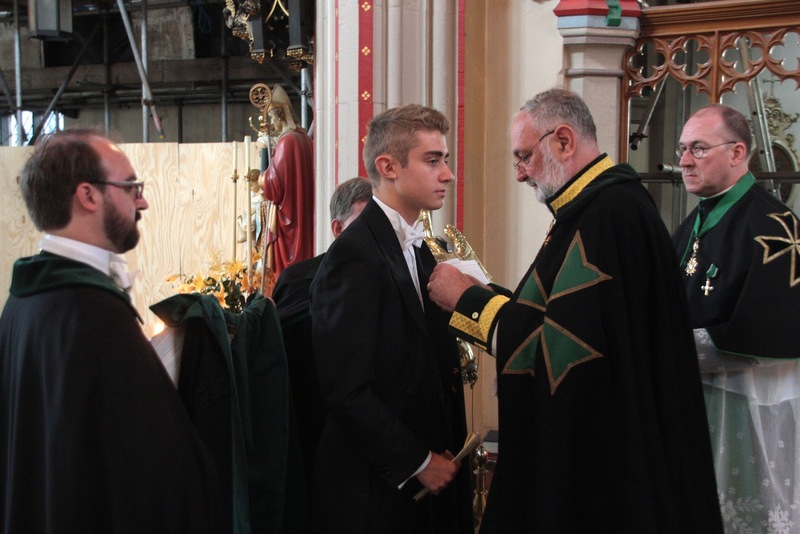 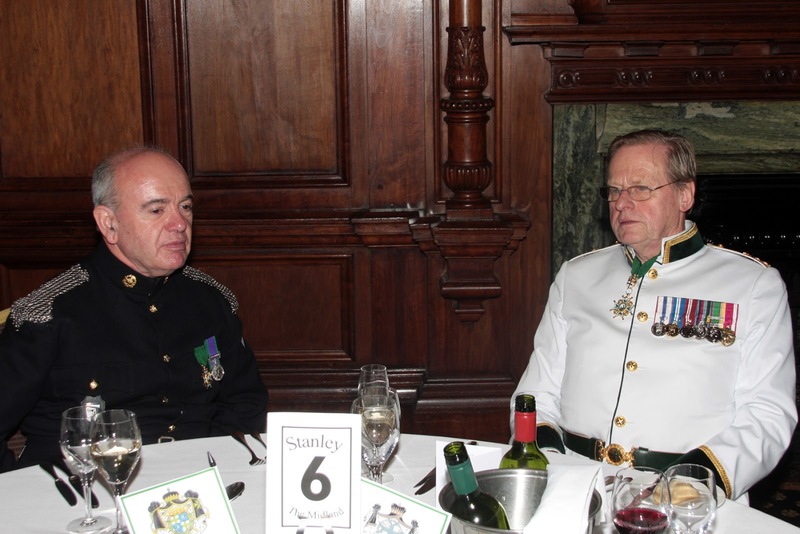 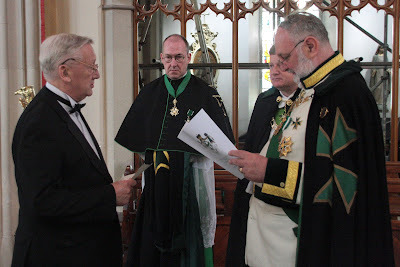 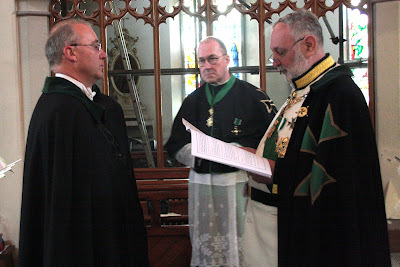 Mr Michael Sterland is received as Confrere. 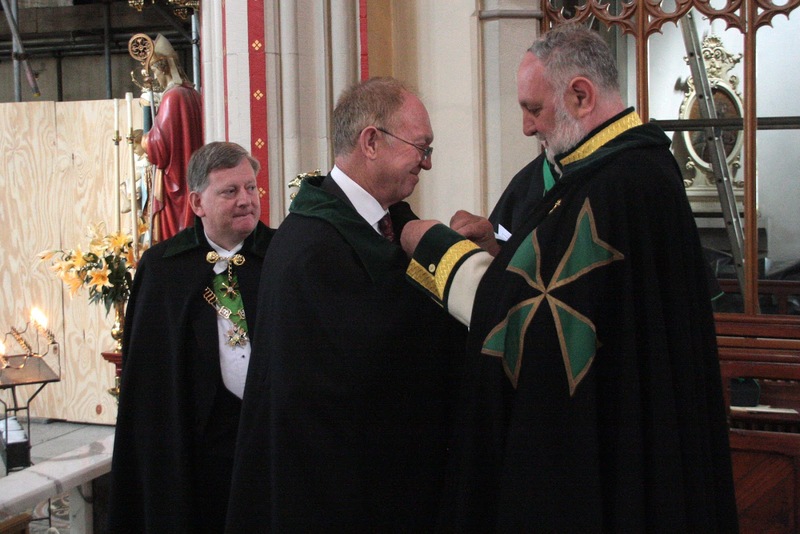 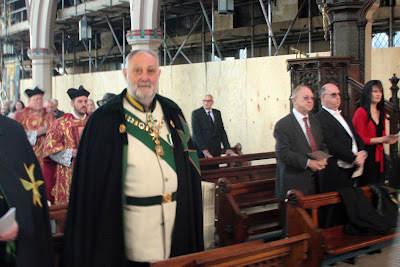 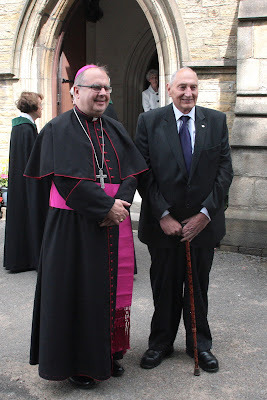 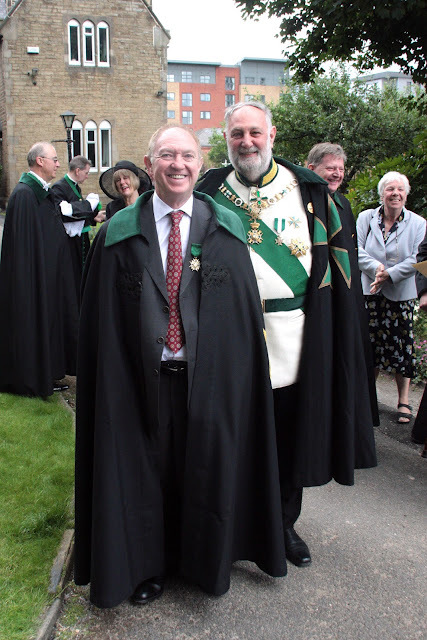 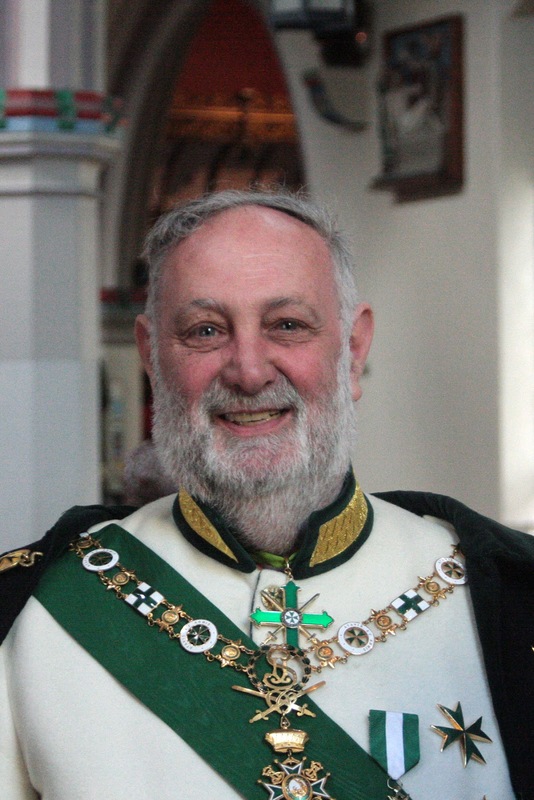 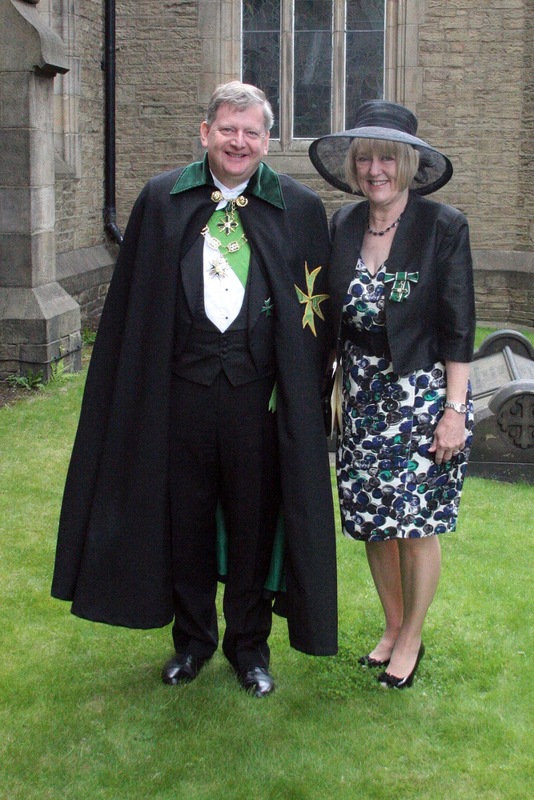 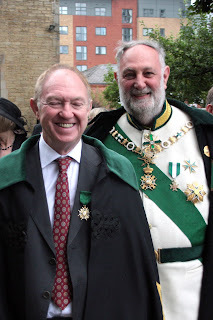 The Baron of Craigmillar, Brian Williamson, is received as Confrere. 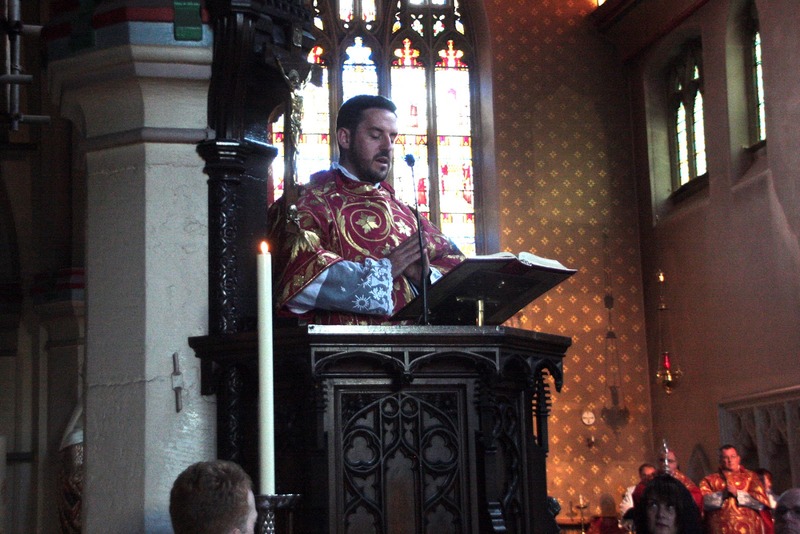 The new members are addressed by the Chaplain General for Great Britain, Fr Simon Henry. 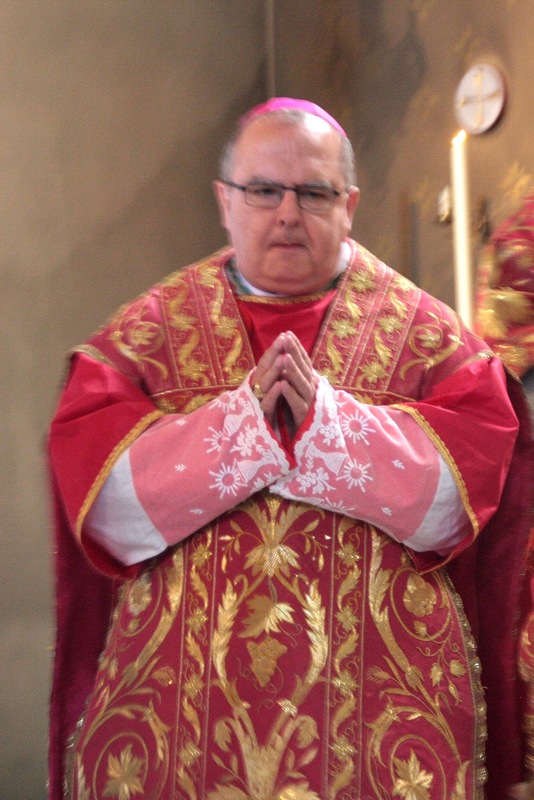 Cons. Elizabeth Douglas is created Dame for supporting the work of the Order. 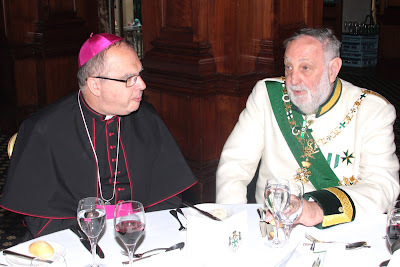 Conf. 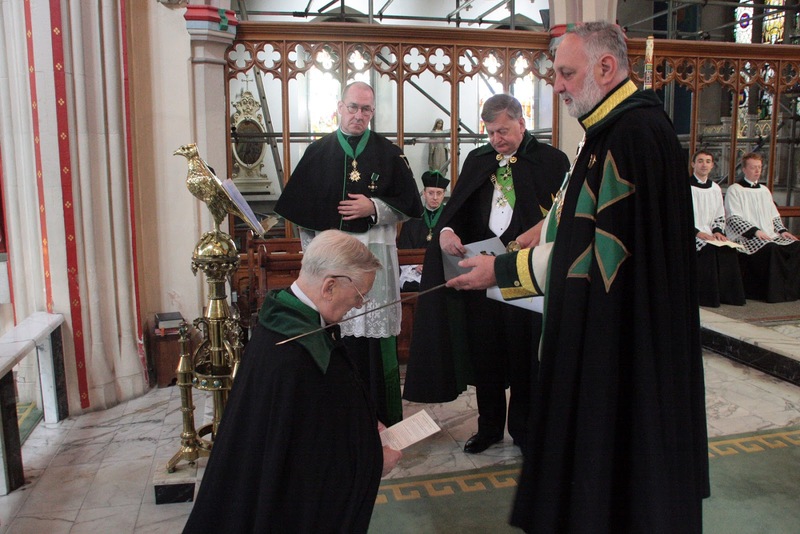 William Douglas is created Chevalier for supporting the work of the Order. 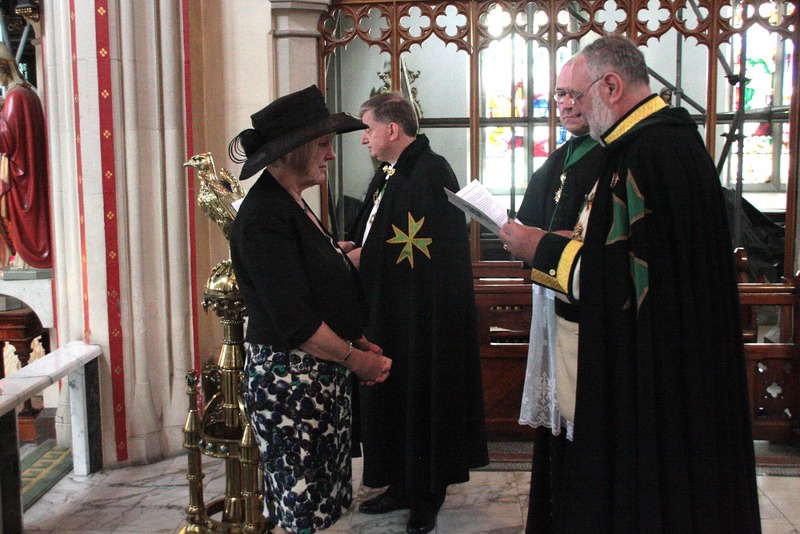 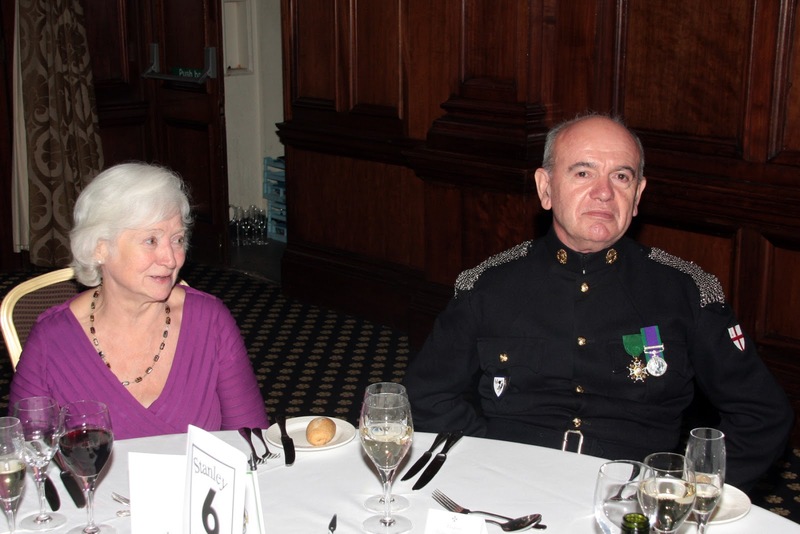 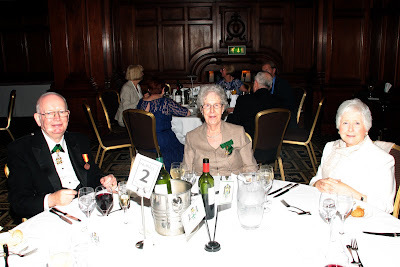 Mrs Jean Spencer is presented with the Order of Merit for her tireless work in supporting the work of the Order. 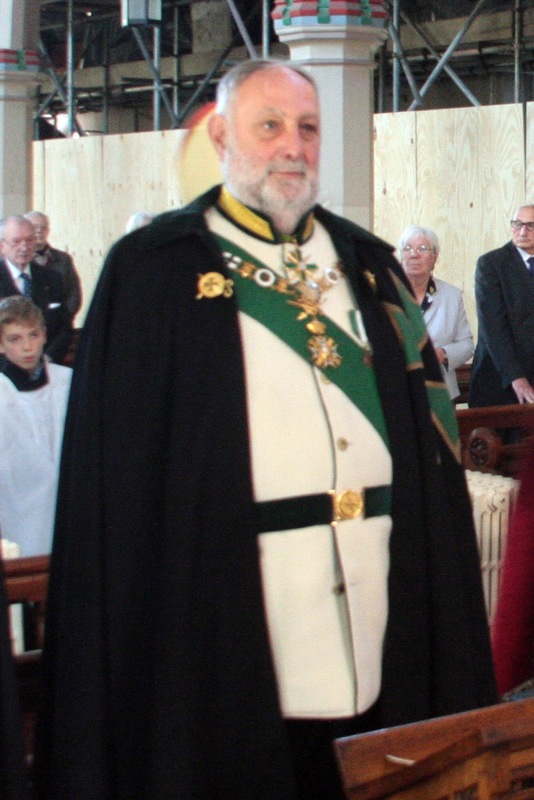 Chev. Nigel Sterland is promoted to Commander of Merit for his work as Treasurer in Great Britain and on the international Grand Council. 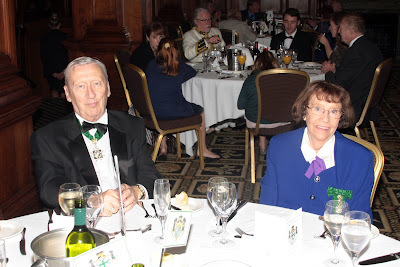 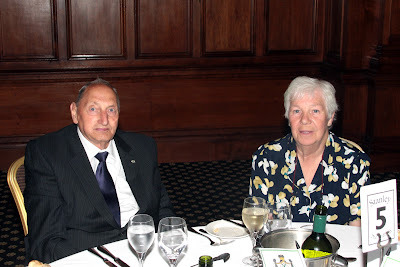 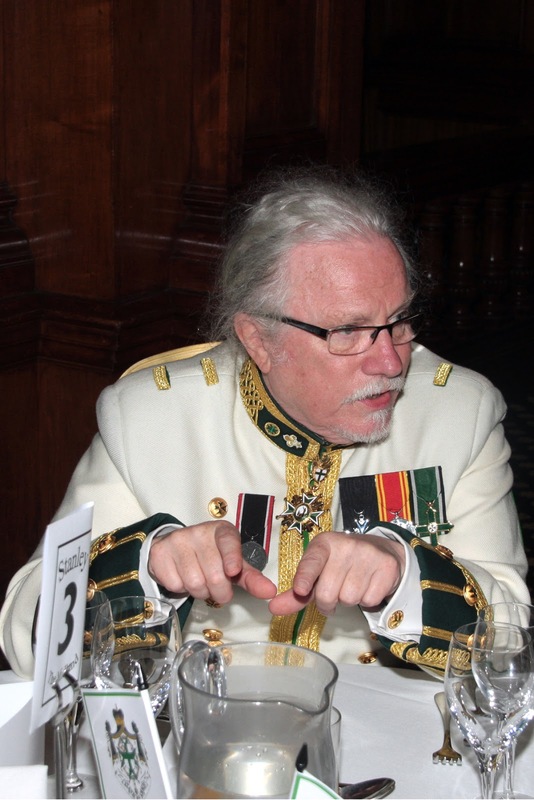 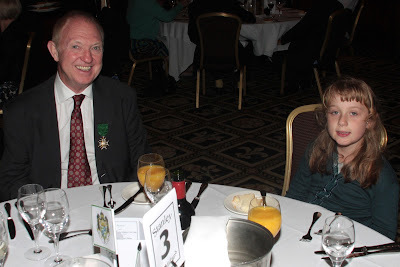 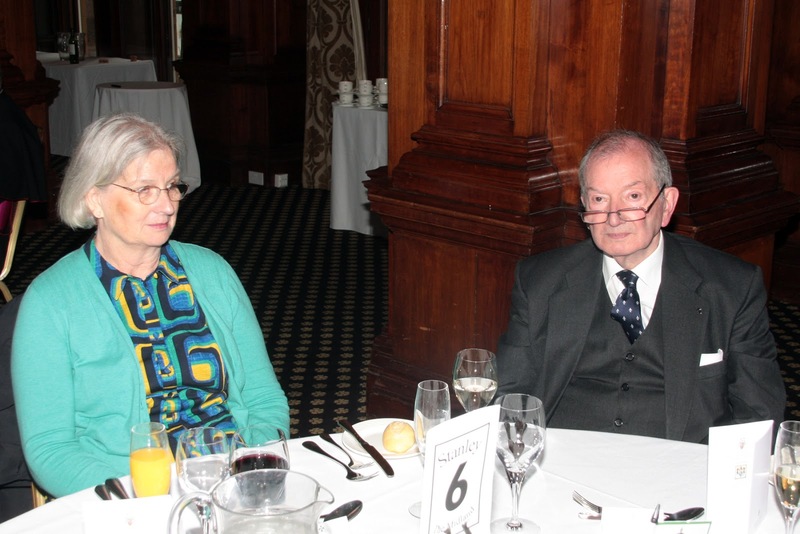 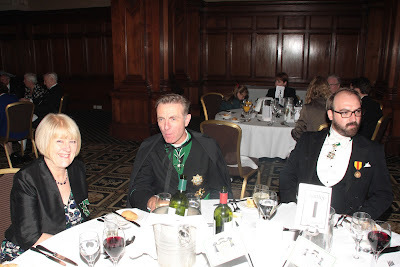 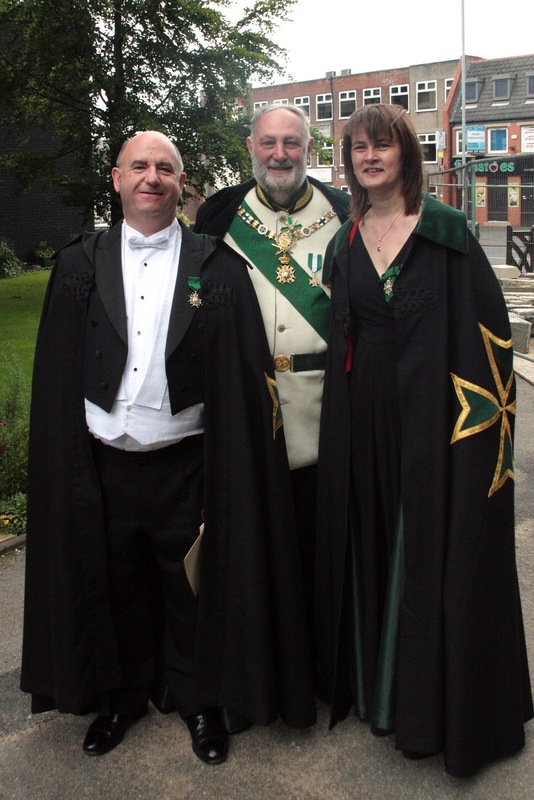 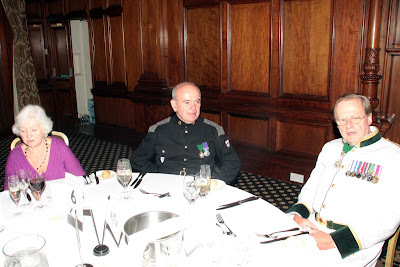 Our thanks to the Grand Master for once again travelling to be with us. 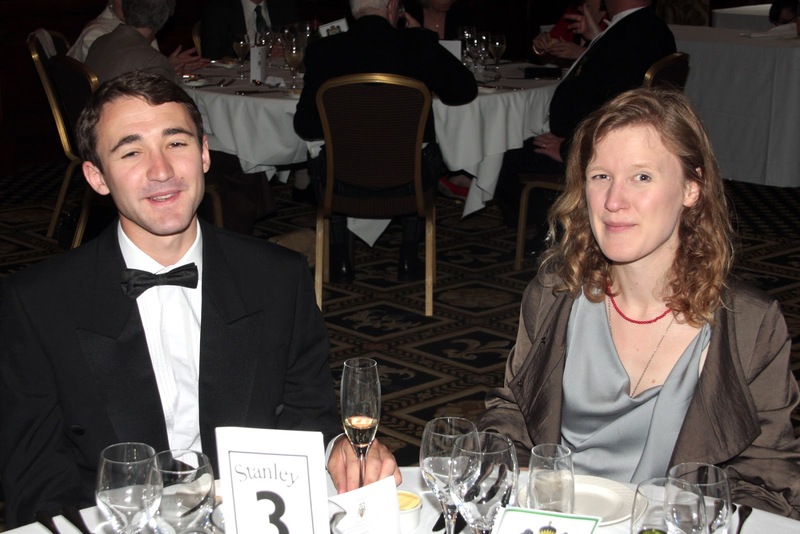 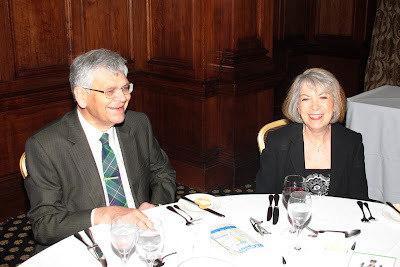 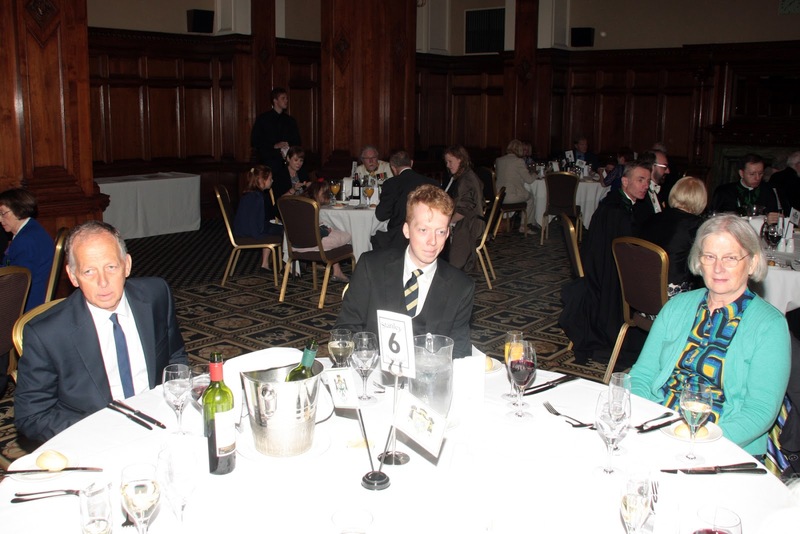 Thanks to Mr John Robinson for the splendid photographs. 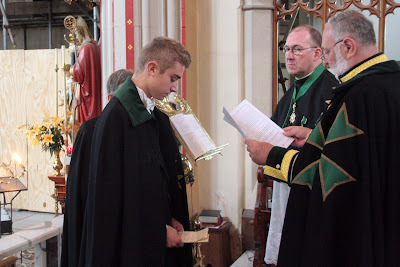 which was excellent and included Mozart's Mass in C.